ICRISAT’s implementation of wastewater treatment through constructed wetlands has proved highly effective given the severity of untreated wastewater use in agriculture. The global scale of this problem is highlighted by a recent study from the International Water Management Institute, according to which 65% of irrigated croplands worldwide are dependent on wastewater and 86% of these are located in China, India, Pakistan, Mexico and Iran. With a high concentration of nutrients in wastewater, many farmers use it to reduce expenditure on fertilizers. However, untreated wastewater carries pathogens and bacteria posing serious health risks to consumers, especially when vegetables are eaten raw. Lack of access to clean water sources and unpredictable weather conditions are making things worse, especially for smallholder farmers. Many are forced to use and even depend on wastewater for irrigation, to a much larger extent than previously thought. Serigudam Sailu is a farmer from Telangana, India, with a mere half acre (0.2 ha) of fragmented land and without any irrigation facility. 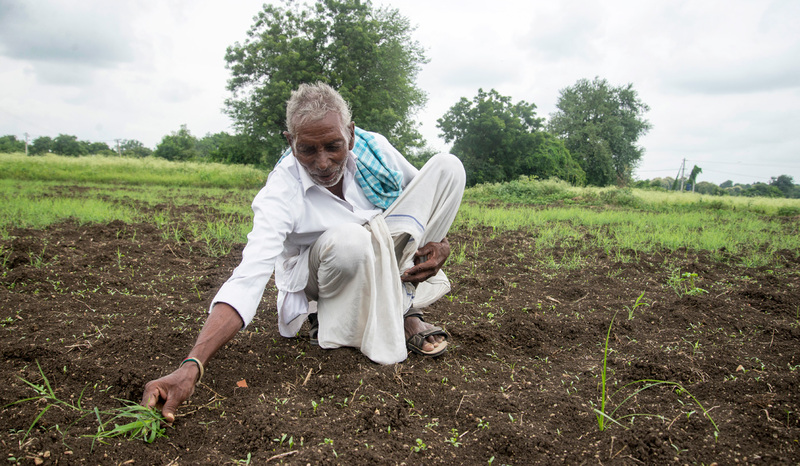 He depends entirely on rain to cultivate sorghum and pigeonpea to sustain himself and his wife. Without access to alternate water sources, conditions become more difficult during low rainfall and long summer months. Water insecurity to Serigudam means low yields and food insecurity. When his crops fail, he falls back on government support schemes for survival. In this context, we must look at wastewater not as waste but as an asset and source of value. Complementing large and modern wastewater treatment plants, it is relevant to target domestic wastewater use at the village level. As the population grows the amount of domestic wastewater continues to increase. If adequately treated, domestic wastewater offers a sustainable solution to everyone in the food production and consumption chain. Several decentralized wastewater treatment units have been established by ICRISAT in partnership with local governments and private companies to supply quality water for irrigation. With 87% removal efficiency for pathogens, decentralized wastewater treatment units reduce health risks and provide water security to smallholder farmers. Wastewater treatment units consist of constructed wetlands with a filter bed of locally available sand/gravel and vegetated with specific wetland plants. The constructed wetlands technology is an outcome of Water4Crops, a large Euro-India collaborative research project co-funded by the Government of India and the European Commission. At Serigudam’s village in Kothapally, ICRISAT worked with the local NGO READ to establish the first domestic wastewater treatment unit in 2014. The treated wastewater is available free of cost without limitations. Until then, Serigudam had no choice but to accept erratic yields and at times, total crop failure caused by inadequate water supply in summer and during delayed rains. “Three years ago, before using the treated wastewater, I was totally dependent on rain. If there was no proper rain, without enough water, we suffered. As my wife and I eat what I grow, water availability means a lot to us,” he says. 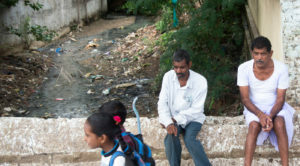 Since the establishment of the wastewater treatment unit, he has access to a constant water source. He uses treated and quality enhanced wastewater from the unit using pipes, but only when essential. “During summer, I use treated wastewater but not in the rainy season when there is sufficient water from the rain. I only substitute with the treated village water when I do not have enough,” he adds. 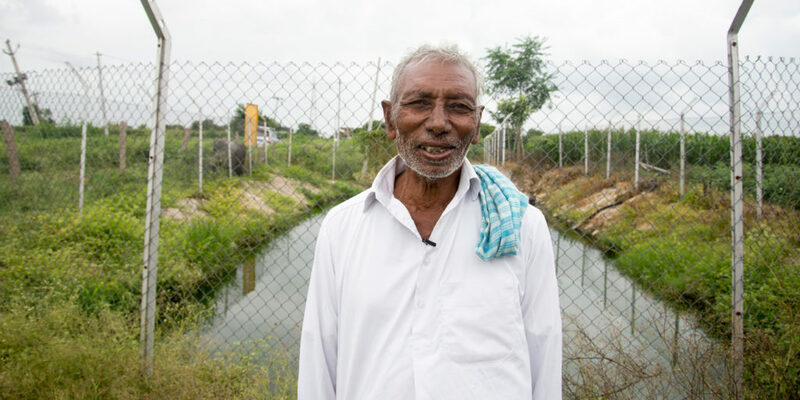 With access to treated wastewater throughout the year, Serigudam has steady yields and is able to undertake crop rotation instead of keeping his field fallow. This has opened avenues for income diversification. Even in dire situations, farmers might not resort to treated wastewater due to local cultural perceptions of its impurity. This is why it is crucial for farmers like Serigudam to set examples so successes can be scaled-up. “Many villagers warned me against consuming sorghum grown with village wastewater, but I use this treated water as I can see the benefits. Now after three years, others see I am healthy and improving my yields, so they have stopped their warnings,” explains Serigudam. The Kothapally wastewater unit has the capacity to regenerate 20,000 liters of wastewater every day to grow crops on a one hectare farm land throughout the year. Following Kothapally’s success, another treatment unit was established in the nearby village of Bhanur, thanks to CSR support from Asian Paints. Here, Sri Ramulu has also started using treated wastewater for his family farm. 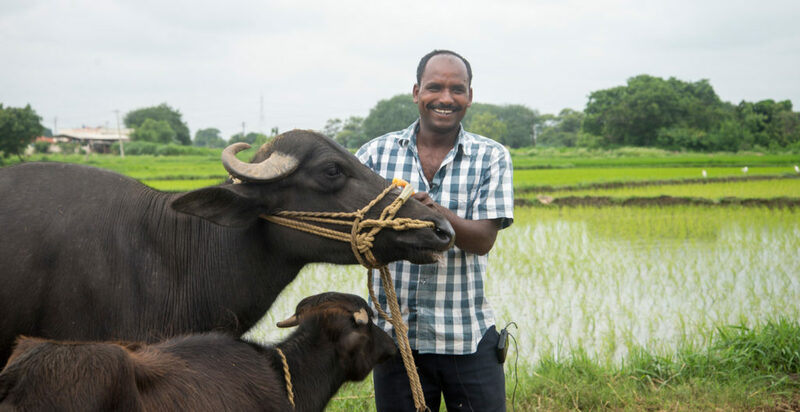 Continuous source of clean water has provided fodder for his six buffaloes and has diversified income and his family’s nutrition as well. This decentralized wastewater treatment system is now scaled out in 28 villages in Andhra Pradesh, Karnataka, Maharashtra, Telangana and Uttar Pradesh, with total treatment capacity of 863 m³ per day. On average, this amount of treated water can irrigate one hectare of land at each village or provide water to nearly 3,000 rural households for domestic consumption1. Witnessing the success of this solution the Government of Telangana is looking to scale this across the state. Decentralized wastewater treatment should be encouraged to tackle the growing untreated wastewater use in agriculture. It provides an additional reliable water source for irrigation, enhances crop yields for farmers and ensures a safer food supply. Watch how constructed wetlands are positively impacting rural communities. This video is part of ‘New Partnerships for Sustainability’ produced by WLE series on sustainable intensification. 1 Average domestic water consumption in rural India = 50l and 5 members per household.